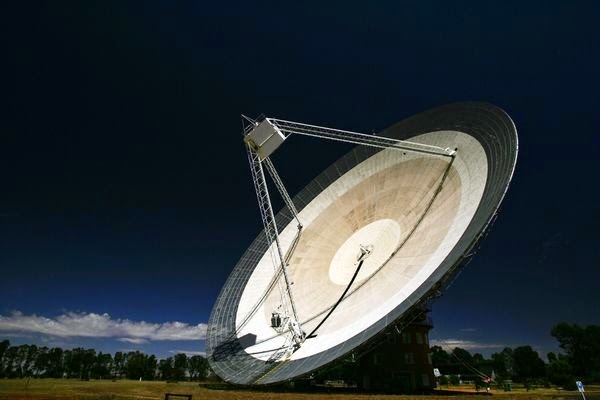 Beginning in the late '90s, once or twice a year, astronomers operating the telescope at the Parkes Observatory in New South Wales, Australia would pick up mysterious radio signals. These signals were known as perytons, described in a recent report as "millisecond-duration transients of terrestrial origin." The researchers believed the perytons were linked to atmospheric activity such as lightning strikes, and they held this belief for around 17 years, until this year, when they installed a new receiver to monitor interference, The Guardianreports. The actual source of the perytons? A microwave.